The Monégasques have brought in the former distance runner in order to aid the players with mental preparation and their respective injury problems as they bid to turn around their disastrous start to the 2018/19 campaign. Currently, Monaco are 19th in Ligue 1 with just three wins from their opening 16 matches. Henry’s own arrival as the new head coach has done little to change their fortunes with Monaco winning just two games under the Arsenal legend. Now Henry hopes the appointment of a 2009 World Championship bronze medallist will have the desired impact. “I didn’t know him personally, but I think it is a good thing for the club,” said Henry, according to Fox Sports. “We know what he achieved in his professional career. It’s great for the club, he’s not the only one who just joined us in Monaco. Monaco will take a trip to the Groupama Stadium on Sunday to face Lyon, who are fourth in Ligue 1 and qualified for the Champions League knockout stages on Wednesday by drawing 1-1 at Shakhtar Donetsk. 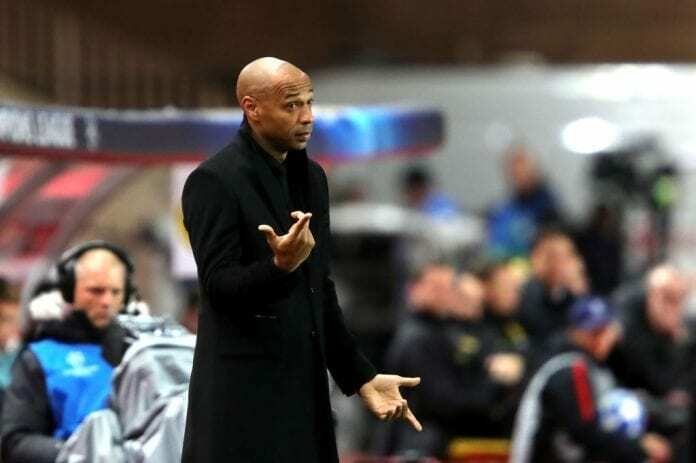 And Henry is well aware of the challenge that awaits his Monaco side in what will be their first Ligue 1 game for two weeks after last weekend’s fixture against OGC Nice was postponed due to riots in Paris. “We have to play this game now,” added Henry. “Winning two games in a row is just anecdotal. You know that we couldn’t play our game against Nice and it may have been better for us to have another win. “That’s what I would have hoped for. We’ll play away once again. It’s going to be a tough game in Lyon. The Lyon-Monaco game will begin at 21:00 (CET) on Sunday.